As an industry leader for more than 20 years, PrintMail Solutions is now leveraging our expertise in helping financial institutions reduce costs and become more competitive in local markets. We are proud to introduce BankBound, our digital marketing division. BankBound provides a range of services for banks, credit unions, wealth management companies, and mortgage lenders. Partner with BankBound to leverage the most effective digital marketing strategies for financial institutions and financial service providers. Are you trying to convert prospects into new customers, connect with existing customers, and increase your brand’s visibility online? BankBound has specialized expertise in the digital marketing strategies that will help your financial services company achieve these goals. Digital Marketing campaigns are measurable. 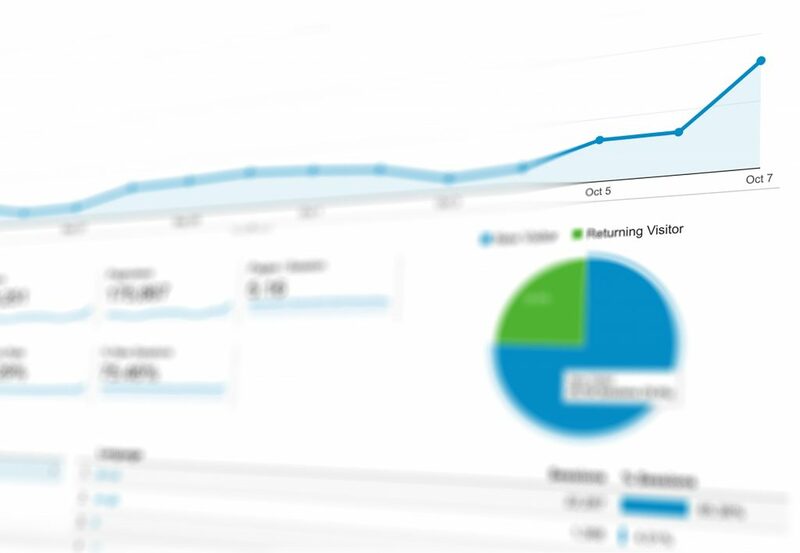 There are many tools for determining the success of a particular strategy, from using personalized URLs and Google Analytics, to tracking increases in new customers and/or applications for certain products. BankBound provides you with detailed monthly reports to help you see the return on your marketing investment. Skilled digital marketers know how to interpret data and uncover trends. 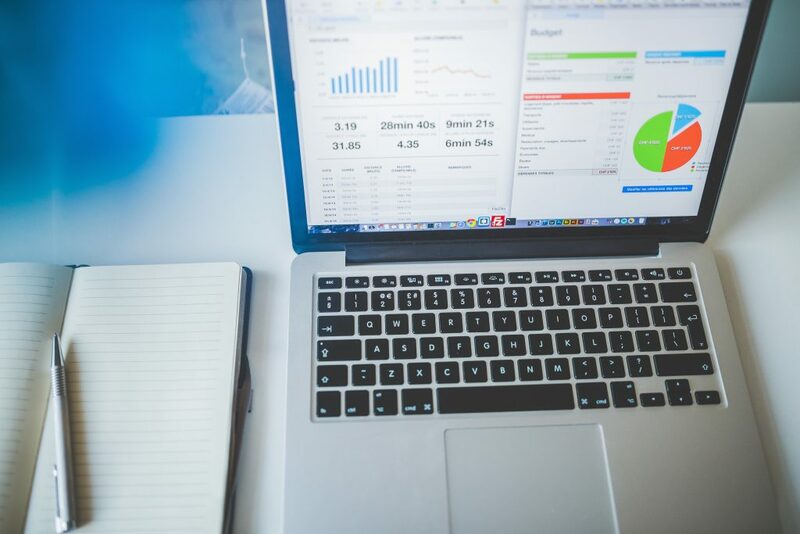 We don’t just report on the data; we analyze it and respond in real time to put more resources in the most effective strategies and adjust any approach that isn’t returning the expected results. Luckily, you don’t have to spend a fortune to get real results that improve your bottom line and help you meet sales goals. Financial service providers can leverage digital marketing by working with PrintMail’s in-house digital services agency (BankBound). We’ll integrate digital marketing strategies into your existing traditional marketing plan. BankBound specializes in the most cost-effective digital marketing strategies for the financial services industry: PPC Advertising, SEO, and Content Marketing. Pay-per-click advertising is a type of paid marketing that can appear on search engines, social media platforms, and a variety of other digital outlets. Paid search marketing is one of the most cost-effective PPC advertising strategies. Any time you search on Google, you see paid results above the “organic” (unpaid) search results. While it may seem simple, there is an art to PPC when it comes to choosing the right search phrases and keywords and developing a strategy according to your budget. There are also many other kinds of PPC ads to choose from, including display advertising, social media ads, and retargeting (showing ads to particular individuals based on their browsing history). The main benefit of PPC advertising for financial service providers is its ability to drive pre-selected prospects to your website. Instead of marketing to anyone and everyone, you have the ability to use digital ads in a cost-effective way. For example, someone searching for mortgages can see your paid search ad and go directly to the appropriate page on your website. You can use display ads to promote your auto loans to people who have been looking at cars for sale online. Social media ads are a great way to catch the attention of younger generations who may not have aligned themselves with a particular financial services company yet. Now is your chance to plant the seeds of brand loyalty. How does BankBound ensure that your digital ads are cost-effective? Data-driven decision making: You won’t find vague hunches or a one-size-fits-all approach here. Actively managed campaigns: If the cruise control approach worked, no one would need to outsource PPC advertising. For the best results, PPC campaigns need to be actively managed so adjustments can be made swiftly based on incoming data that changes on a daily basis. Digital Advertising Expertise: You don’t want just anyone managing your ad campaign. Partner with BankBound; we are a financial marketing agency with exclusive expertise in banking and financial services. Search Engine Optimization (SEO) consists of a growing body of best practices designed to rank your website higher in the list of organic search results and increase traffic to your site. Some of these include applying technical and content changes to your website to make it more Google-friendly, while other techniques focus on building up your website’s online reputation by affecting outside resources such as review sites and business directories. 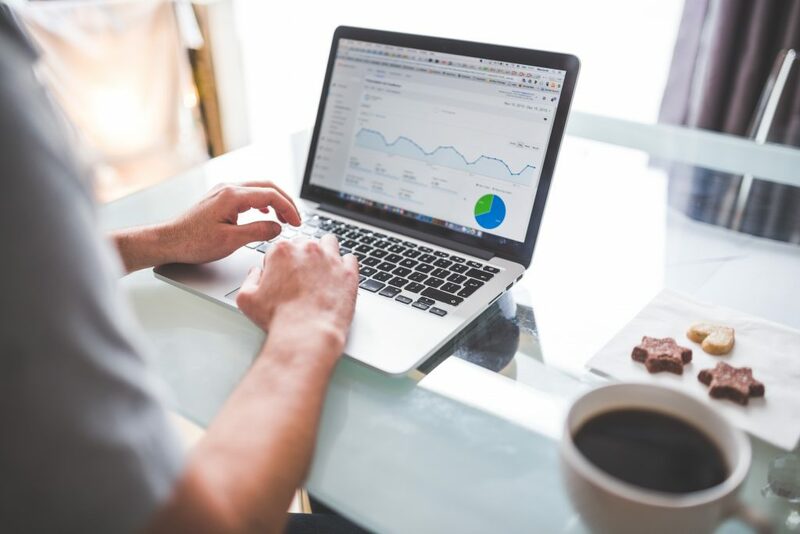 There are many ways to go about optimizing your financial website for search and it pays to have an SEO expert consulting your marketing team along the way. You may have heard that “content is king” when it comes to SEO and digital marketing. While it’s true that helpful and well-written articles and website pages are an important component of your digital strategy, Content Marketing encompasses more than text. It’s about images and graphics, too, and the integration of your physical and online presence. Together, SEO and Content Marketing can increase your site ranking and visitor traffic, turn prospects into customers, increase your brand recognition online, build trust with existing and potential customers, and engage current clients to download your mobile app or learn about other services you offer. There’s no shortage of competition in the financial services industry from both online and traditional companies. A dynamic SEO and Content Marketing campaign will help you reach the people who are looking for the products and services you specialize in. How does BankBound make Content Marketing cost-effective for your financial services company? We follow SEO best practices. And we stay up-to-date on what they are, as Google and other search engines update their policies, guidelines, and algorithms. Publish lengthy, high quality content. For the same amount of money, you could write several shorter articles or you can publish one longer piece with engaging, high quality content. We take the second approach because it’s in line with SEO best practices and has been shown to generate more leads for our clients. Search Marketing Expertise: Whether you’d prefer to focus on increasing your website’s organic visibility, running paid search ads, or a combination of both, our team has the search marketing experience to promote your institution’s financial services. While all of these digital marketing strategies are strong on their own, they are most effective when integrated into a master plan. Integrated Marketing combines traditional advertising methods (print, radio/TV, billboard) with digital strategies such as SEO, PPC ads, Content Marketing, Social Media, Inbound Marketing for Financial Services, Email, and more. You may already be working with Printmail and other vendors on traditional forms of advertising such as mail marketing. Partnering with BankBound to add digital tactics will improve the results you see from both traditional and digital marketing. We follow industry best practices and use strategies that have been proven to work with other financial services clients to help you determine the best platforms for getting your message out to new and existing customers. As part of our commitment to providing the best possible Integrated Marketing experience for our clients, PrintMail has created RYSE, an innovative platform designed to support leading-edge marketing initiatives for financial service providers. You’ll love our new Interactive Customer Platform; it has the most speed, support, and customization available in the industry. Ready To Transform Your Digital Footprint? Whether your company is just getting started in digital financial services advertising or you’ve been investing in online marketing for years, PrintMail’s digital marketing services can help take your financial institution’s Internet presence to the next level. Detailed guides on how SEO, digital advertising, content marketing, and integrated bank marketing can benefit your financial services company. Blog insights about mortgage marketing, the best bank marketing conferences, deposit growth strategy, and more. Details about what your company will receive from our manual marketing analysis. More resources for financial marketers are being added all the time, so check back often or follow BankBound on LinkedIn!